HMMH conducted the noise and air quality analysis and produced the noise and air technical reports in conjunction with the environmental document developed for the Wesleyan Drive project in Virginia Beach and Norfolk, Virginia. 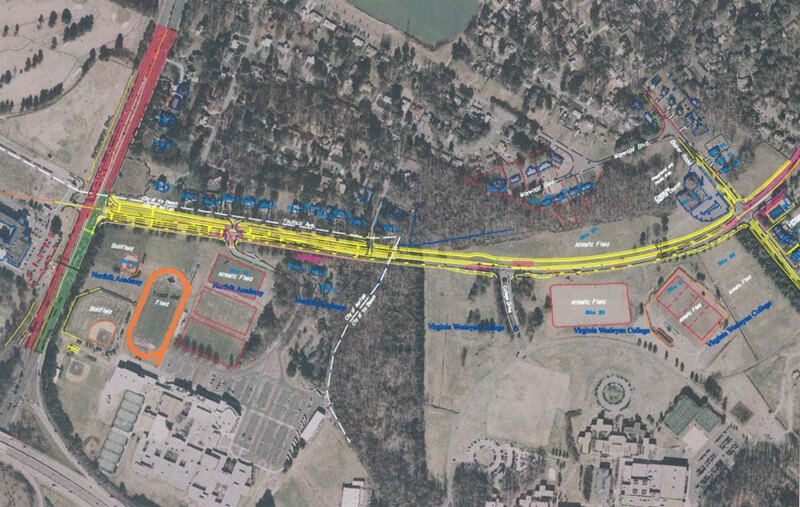 The project involved a roadway widening from two to four lanes between Northampton Boulevard and Baker Road in the vicinity of Virginia Wesleyan College and Norfolk Academy, and two alternative intersection designs at Northampton Boulevard and Wesleyan Drive. HMMH assessed noise impacts at 49 locations along the project and evaluated noise abatement measures to reduce or eliminate the impact. Our report showed that the construction of noise barriers at neither of two impacted locations was feasible. The air quality analysis consisted of a carbon monoxide (CO) hot-spot analysis and mobile source air toxics. A modeling protocol was submitted and approved by the Virginia Department of Transportation (VDOT) outlining the methodology and assumptions used in the study. The MOBILE6.2 emission model was used to generate CO emission rates for use in the CAL3QHC dispersion model. The CAL3QHC model was used to estimate CO concentrations at nearby sensitive receptors for comparison to the National Ambient Air Quality Standard (NAAQS) for the baseline, interim build, and final build conditions.